A vivid fantasy world made even more compelling by the intercutting of narrative strands within and between fantasy and real worlds. Natalie knows that what seems like a crumpled sweet wrapper is a discarded spell but not that it is a bait to trap her, part of the Spellmage's attempt to trick his way back into Earthhaven. Natalie's kidnapping causes her drunken father (who use to be a 'travelling salesman' for recycle spells) and her aggressive stepbrother to change their ways and try to rescue her. Meanwhile the Spellmage's son (poorly able to work magic and ironically named Merlin) works against his father to help Natalie and uses his derided knowledge of computers against the 'virus' attacking Earthhaven. 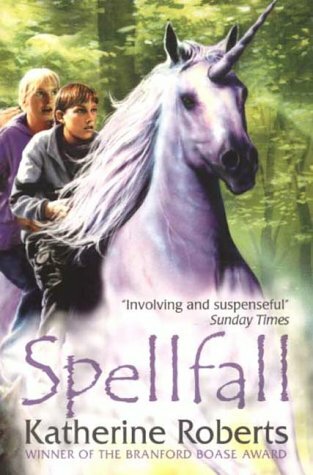 With the addition of unicorns and magehounds, casters and spell trees, gangs, police and battles, this has everything for all kinds of readers.